Rheumatoid arthritis (RA) is a chronic and most painful disease; it progresses step by step due to inflammation in the joints. It produces result as painful deformity and immobility in joints; especially in knees, ankles, feet, back, wrist and fingers. 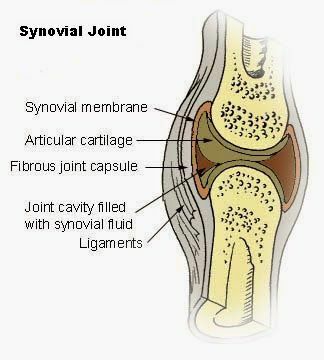 This disorder mostly attacks flexible (synovial) joints and after that it will affects all the body joints and tissues. In Pathological terms, many types of arthritis disorder in the world; and there is no cure for treat this problem permanently. Nevertheless, even modern medical science fails to cure RA; then we have another best hope of Ayurveda medical science to treat it permanently. Some natural therapies and herbs help to treat of RA & other arthritis disorders. Daily lifestyle and diets play a vital role to treat any disease. Right food and supplements helps to cure quickly from RA. Anyways we are discussing about some home remedies; which is works effectively to treat with rheumatoid arthritis. These remedies will also useful to cure from Sciatica, back pain, arthritis, Knee pain and other joints disposers. Neem is the magical herb to cure of every diseases; take the benefit of this herb tree and the remedy. Take 10-15 fresh, new and soft leaves of margosa. Chewing properly and swallow these leaves. Do this method daily in the morning to cure permanently from any kind of arthritis. It's bitter in taste therefore you can take some sweet or sugar after chewing them. This remedy is effective to cure diabetes; you can suggest it for diabetic patient. Fenugreek is used as spice in the kitchen since ancient times. The anterior people knew the importance of this herb and they had used it on daily routine; so they did not face such diseases. Take 5 gram (One teaspoon) of fenugreek seeds and soak them into a glass of water at night. Next morning, shaking it well and filter it. Drink this water and chewing these seeds well. This is proven and effective remedy for arthritis. You can also use a teaspoon fenugreek powder with lukewarm water twice in a day. This treatment also helps to cure diabetes. Take one gram of fenugreek powder and dried ginger powder. Take it thrice in a day with lukewarm water. Fenugreek is an impressive herb and it’s very effective to cure many diseases. Amla has the ability to transform the old age in puberty; it is the rich source of vitamin C. Therefore use it and live free from diseases. Take juice of one fresh amla and mix it with some melted butter. Heat it until becomes warm. Drink it after it becomes cold. Lick some honey after drinking it. Use this treatment at least 2 weeks regularly. By this treatment, you will realize new freshness and walking with feet will be easier without pain. Take 100 grams of all three basil leaves, margosa leaves and salt. Put these ingredients into a bathtub or tub and heat them. Immersing your affected joints in this water when it becomes lukewarm. Immersing at least half an hour to get relief from swelling and irritation. Use this treatment once or twice to get positive results. Water therapy almost works in all diseases. It is very simple and easiest procedure for cure the disease. In this process, you have to heat the water until it becomes lukewarm or tolerable. This therapy is performed as immersing the painful joints in lukewarm water at least for an hour. Green tea has the anti-oxidant properties. It is useful to encourage the production of glutathione in the body, which functioning for inflammation reduction and overcome the swelling. You can use it for cure the arthritis. Take 100 gram mustard oil and add 10 gram camphor in it. Heat until the camphor dissolves into this oil. Leave it to become lukewarm. Massage with this oil on affected joints to get quick relief. Aloe Vera helps to overcome the inflammation or swelling in joints. You can use the pulpy gel from its leaves. You can use it with black pepper powder and salt to make it tasty. Triphala is a traditional and magical remedy to cure from many diseases. It works for recovering of the affected tissues with cure. Use a tablespoon of triphala powder with water at night before you go to bed. Ginger and garlic are the best spices or herb; which is useful to quick relief from pain especially swelling pain. You can use direct intake of its juice or use them with vegetable, salad and soup. 1. If more problematic then go for consulting with a specialist doctor. 2. Take plenty of sleep and rest. 3. Do meditation for away stress and depression. 4. Eat plenty of vitamins supplements and green leafy vegetables. 5. Take more multivitamins and protein diet and food. 6. Avoid fried, oily and fast foods. 7. Use massage every day. 8. Try some exercises and yoga. 9. Try to walking at least for 20 minutes daily in the morning. 10. Drink plenty of water in a day. 12. Eat more fiber diet and fruits. 13. Avoid inflammatory factor products like dairy foods and milk. 14. Fish oil is the best anti inflammatory supplement. 15. Eucalyptus oil and Turpentine oil, performs best for massage on joints. Avoid eating of saturated food and packed food; eat only fresh foods and green vegetables including salad and fruits. Avoid drinking alcohol and quit smoking. Always keep believing in remedy with positive mindset. Avoid use of drug and addiction supplements. These remedies and tips help to treat RA and many other form of arthritis. You can comments for any suggestion or query. mangoes should be eaten in rheumatoid arthritis or not ? ?